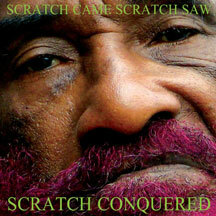 Dub reggae legend Lee "Scratch" Perry delivers a follow-up to his Grammy-nominated collaboration with Steve Marshall. Dub reggae legend Lee "Scratch" Perry delivers a follow-up to his GRAMMYÂ®-nominated collaboration with multi-instrumentalist Steve Marshall and producer John Saxon. Perry continues to create unique, category-defying music. Here, Lee Perry draws his narrative from his spirituality and today's global events. Very special guests Keith Richards and George Clinton join Marshall, MySpace favorite Erica Iji, Reuben White, Tim Hill, Mark Mason, and Sheridan Tandy.